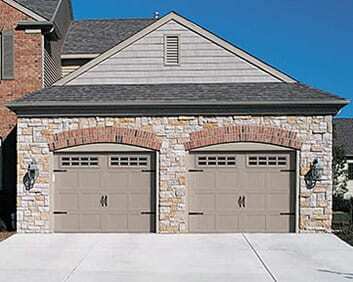 To extend the life of your garage door, contact the professionals for garage door service in Southlake. 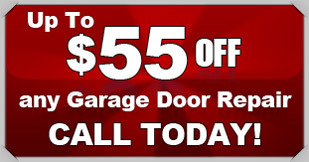 When it comes to Southlake garage door repair and maintenance, Action Garage Door has just what your door needs. When you want the best in garage door repair and other services, you have to turn to the best. For years, we have been providing residents all over Southlake with the garage door service they need to have their garages in the best working order. As a garage door repair company that is committed to customer satisfaction, nobody beats Action Garage Door. Our family-owned business has been satisfying customers for 30 years and we are waiting to help you find the services you need for your garage door in Southlake. All of the work we perform is done in total compliance with all applicable local codes, and our products are tough enough to withstand the elements. At Action Garage Door, we understand you have many needs when it comes to garage door service. For this reason, our garage door service goes way beyond simple repairs. We install several different brands of garage door openers, and we can fix your springs, adjust your rollers and do much, much more. No two home or business owners are alike, and our garage door repair company understands that no two will want the exact same garage doors and set up. 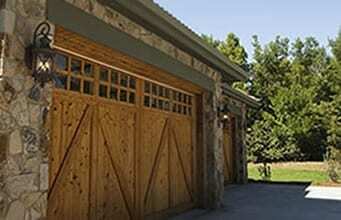 At Action Garage Door, we offer a variety of garage doors for installation in Southlake homes and offices. Some of our options include, Carriage House garage doors, Olympus garage doors, Classica garage doors, Stratford and Heritage, and Amarr overhead garage doors. To get started with your garage door repair, installation, or replacement, contact Action Garage Door in Southlake today and let’s talk about the options available from the garage door repair company that has been caring for customers since 1984. Garage space for three or four vehicles is not uncommon for the large homes located in Southlake, Texas. Action Garage Door stand ready to help homeowners with any repair, maintenance pr replacement issues they may have. If you need a quick fix, or are interested in distinctive new garage doors for your new home, give a call to experience the Action treatment first hand. You won’t be disappointed! A popular northern suburb of the Fort Worth-Dallas area, Southlake is considered extremely livable. It is an affluent, upscale, modern community, known for its exemplary school district, Southlake Town Square, the natural beauty of its surroundings, and its fine homes. Along with the benefits, however, comes a relatively high cost of living — the index score is 150 on a national scale of 100, substantially above the Texas average of 91. Median income of owned residences is above $184,000, among the highest in the Metroplex, and the median home price is $530,300. More than 90 percent of Southlake’s homes are owner occupied, and many of them are large homes sited on landscaped acreage. Average home size is around 4,000 square feet, and the average cost of a new home is $750,000 or above. The city is primarily situated in the northern reaches of Tarrant County, and is considered a suburb of Fort Worth. Part of the city extends into Denton County to the north, however, and it is located close to DFW International Airport, with Irving’s Las Colinas, Dallas and its northern suburbs just a bit further east. Southlake exhibits little of the Western Cowboy vibe that characterizes Fort Worth, and is instead a thoroughly modern and cosmopolitan city that exudes wealth and good living. Southlake has been developed with an eye to aesthetics: Its public areas, including parks for people and for dogs, its playgrounds and shopping areas, and its business centers as well as its subdivisions are well planned and impressive. Bob Jones Nature Center is owned by the municipality and operated as a 501c3 non-profit entity to give residents and visitors access to the local Cross Timbers ecosystem. A continuing program of education seeks to preserve the natural terrain and protect the creatures that inhabit it. A community recreation center, known as The Marc Southlake, is under development and slated to become a showplace, with an events hall and outdoor amphitheater as well as a senior center, both indoor and outdoor fitness facilities, indoor aquatics and multi-faceted performance and educational facilities. Phase 1 has been completed, and Phase 2 is now under construction. Among its recreational offerings, Miracle Field is a great place to play baseball, and there is a tennis center and a dedicated senior center. Summer camps and after school programs keep young residents active and interested, and Southlake has adopted an integrated parks and open space plan to respond to citizen desires for community activities and leisure services. Achievement of students at Carroll High School in Southlake is legendary. Not only is the football team an 8-time state champion, but the men’s swim and dive team regularly wins honors, and academically it is in the top ranks of public schools nationwide. The school’s average test scores are in the 99th percentile. Education is obviously important to the community: Almost 70 percent of Southlake residents have completed at least a bachelor’s degree. The city, with just under 30,000 residents today, was incorporated in 1956, but it saw only slow growth until recently. With a history dating back to the first settlers who arrived on the prairie in the 1840s, it came of age with the construction of DFW International Airport in the 1970s. The proximity of Grapevine Lake was an additional draw, and the expected built-out population of the city is expected to reach its limit of about 34,000 later this decade.